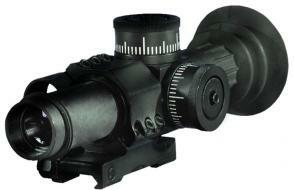 PO 3.5x17.5 P OPTICAL SIGHT is a compact ultra-light scope designed for mobile military groups. Can be installed on automatic small arms, machine and sub-machine guns, pistols or any other weapons with a top Weaver/Picatinny base. Can be used during day time shooting under any light conditions or, in a twilight and at night in a combination with night vision devices. Thanks to its ultra-light weight, the scope does not increase the weight of the rifle it's installed on. The scope is shock-proof, dust-proof, water-proof up to 1 m, filled with nitrogen. The PO 3,5x17,5 P is for rifles with a standard Weaver or Picatinny base.